Kids need to get outside more and play instead of focusing on these ridiculous online challenges out there. Seriously, one of them is going to get hurt pretty bad if they keep this up. Schools are putting out warnings about the “eraser challenge,” a trend that has reportedly been leaving kids with burns and potential infections. A middle school in North Carolina warned parents that children were rubbing erasers up and down their skin roughly as they recited the alphabet, according to WBTV. East Iredell Middle School said it has seen several students experience burns from the challenge, the school reported in a Facebook post. The school also provided a link to an article about an incident that occurred from a similar challenge in 2015, when a teenager had to be taken to hospital because of Strep A toxic shock, which he was reported to have likely gotten from bacteria on the eraser that he had rubbed on his arm. 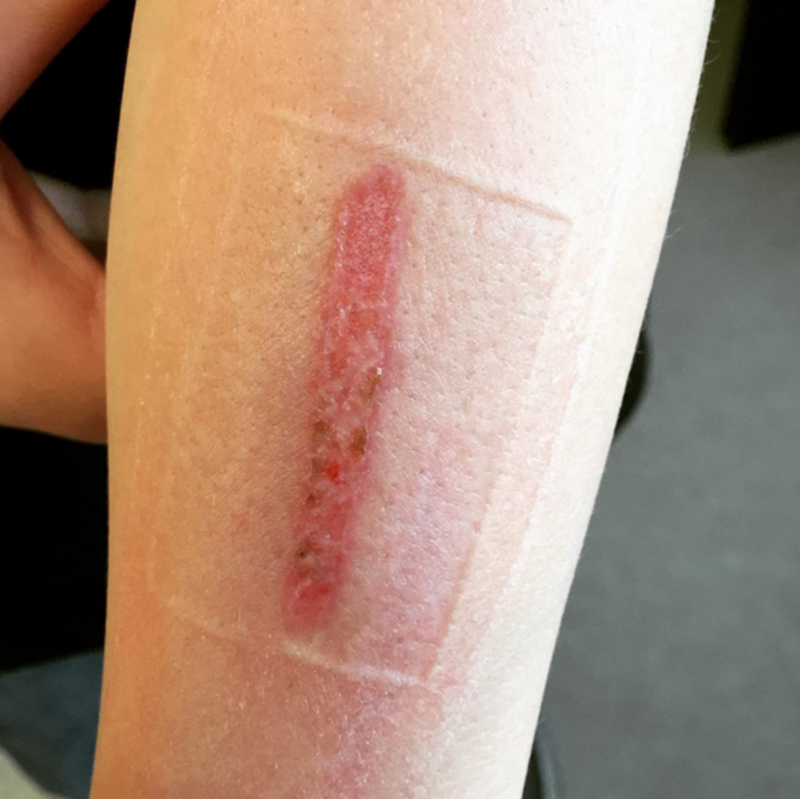 The eraser challenge has gained popularity online, where kids and teens have posted photos and videos of themselves doing the challenge, as well as the cuts and abrasions that the friction from the eraser causes, Today reports. “I thought it was the stupidest thing I’ve ever heard in my life,” said one parent about the challenge. “I think children are lonely. They sit in front of the internet and they don’t have anyone to be accountable to,” said another. Others seemed unsurprised by the challenge, saying that kids had been doing variations on the eraser challenge for years. One aspect of the trend that didn’t surprise pediatrician Wendy Sue Swanson, was the way children boasted about their injuries from the challenge. Swanson advised parents and teachers to tell kids about how the eraser challenge could harm them. Eraser burns can become infected by staph or strep skin infections, potentially leading to serious harm. “Kids don’t know this, but your skin isn’t sterile, it’s crawling and teeming with bacteria and when you open up your skin, that bacteria can crawl in and cause an infection,” Swanson warned.